Sony Ericsson W880i is a slim and stylish mobile phone that features the 2 megapixel camera, 3G, expandable memory (M2) card slot and Bluetooth stereo support. The measurement of SE W880i are 9.4mm x 103mm x 46.5mm which consider as Sony Ericsson’s slimmest 3G phone till now. The Sony Ericsson W880i comes with a large color LCD screen which provides up to 262,000 colours on a high resolution display, and comes with user friendly keypad with easy to use navigation control. Sony Ericsson W880i is a 3G phone which provides the user with a mobile broadband Internet experience. Besides, W880i users can enjoy video calling, video streaming, mobile Internet and a high speed experience on their phone. 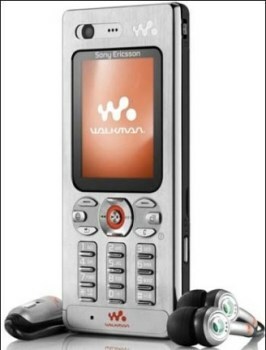 The key feature of Sony Ericsson W880i is a digital music player which is easily accessible by pressing the tiny Walkman button on the right of W880i. 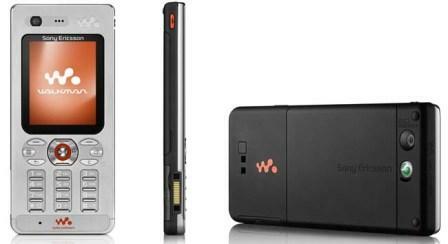 It runs the Walkman 2.0 player which can also be found on the newer Sony Ericsson handsets such as the W850i and W660i. The SE W880i comes with an Internet browser which allows the user to access Internet site from their mobile phone, and also subscribe to RSS feeds which will provide them with all the latest news and reports from selected favorite websites. The Sony Ericsson W880i has no built in LED light or flash which help to take clearer photo at low lighting environment. Don’t expect expect too much from this “Walkman” phone for photo taking capability. Sony Ericsson W880i is available in flame black and steel silver color for about $500 or more, with 1GB Memory Stick Micro media (M2) bundled.